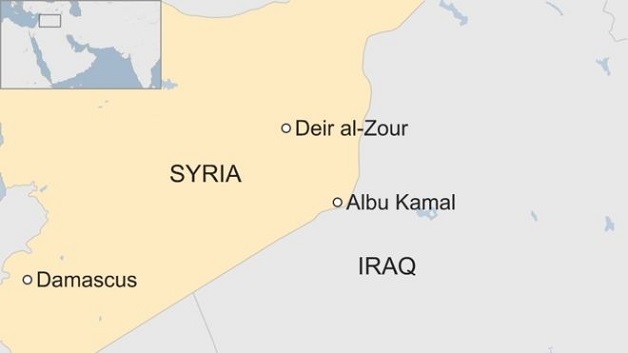 The US-led coalition says it “may have” carried out an air strike in an area of eastern Syria where scores of civilians were reportedly killed on Thursday. Fifty-four people, including at least 28 civilians as well as Islamic State (IS) group militants, died in the strike on a village near the Iraqi border, a monitoring group says. The raid hit a gathering at an ice factory near the village of al-Soussa. According to the BBC, Syria has blamed the US for the incident in Deir al-Zour province.